How does Sara Angelucci assess the history and functionality of photography? 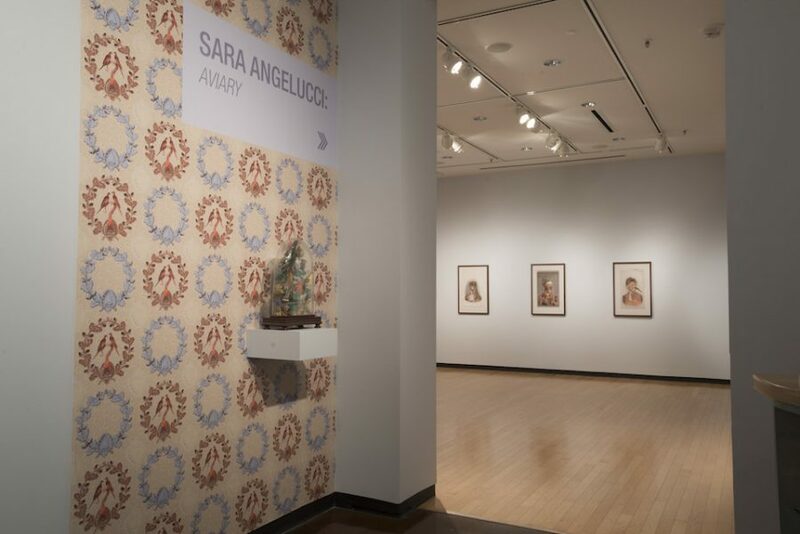 Sara Angelucci: Aviary, installation view. Halsey Institute of Contemporary Art, 2016. Photo: Rick Rhodes Photography. Sara Angelucci’s Aviary is a series of photographs that have been digitally manipulated to represent a hybrid form of a human being with birdlike features. 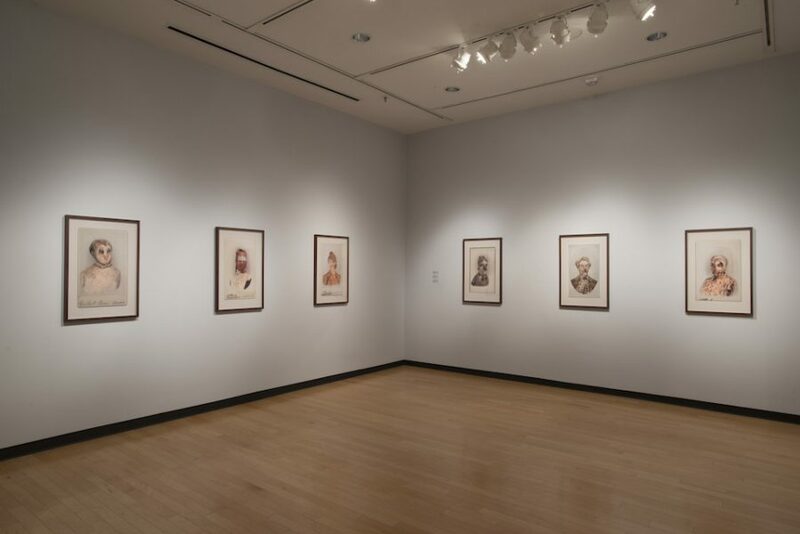 While the process was made possible by modern technology, the images are rooted in a historical narrative given the nature of the portraits and status of the birds. The photographs are carte-de-visites or cabinet cards from the mid-1800s to early 1900s. These were a popular way to share your image with friends and family, as the cards could fit into your palm and were made of thick cardstock so to be easily traded or mailed. The birds whose features overlay these portraits are extinct or endangered, leaving them to be a nearly forgotten memory like the cabinet cards. 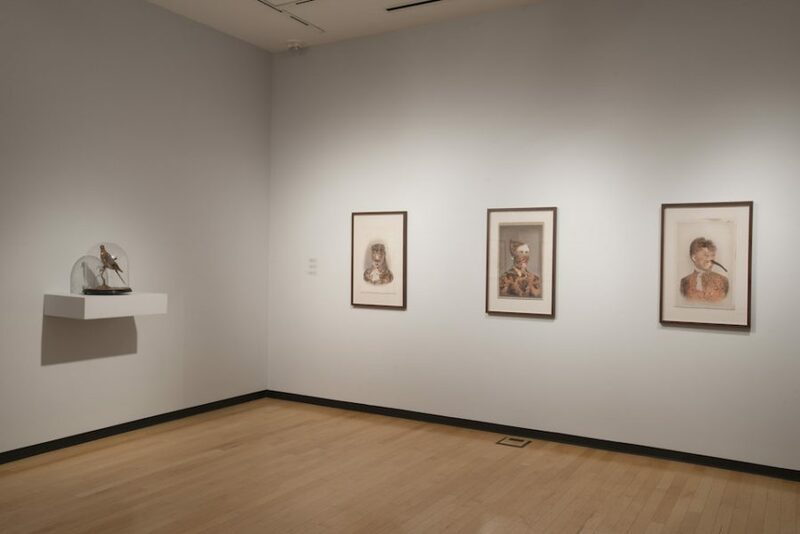 The human interest in sharing photographs of oneself and family has been a flourishing trend ever since, and has only expanded since the camera has become democratized. In the early 20th century, Kodak’s Brownie camera allowed anyone to be the new self-appointed family photographer. The importance of the family portraits and home snapshots became an essential to scrapbooking mothers everywhere. My own mother and father have black-and-white prints from their childhood, depicting them in front of Christmas trees, playing in the yard, or dressed up on Easter Sunday. When I was a child, the tradition carried on but now had the luxury of color and digital cameras. Our family Christmas card included a photomontage of the year, and I have a shelf of scrapbooks that document my life in photos from the day I was born until the age of twelve. These photographs were taken on a portable digital camera and were easily printed out either at a drugstore or my mom’s own small photo printer. Now, the majority of photographs taken on a daily basis are rarely printed but still widely shared online via social media outlets. Instagram, Twitter, Facebook, and the like are full of images from our friends’ newborn babies to breakfast at our favorite café. Unlike the intimate and special gesture of the carte-de-visites, our lives in images are ubiquitous and commonplace. Yet there is something to be celebrated about the notion that anyone can take photographs and share them with their peers, not just the upper middle class who could afford to pay for formal portraits. The photographs also challenge value by incorporating the profiles of the extinct or endangered birds. The species were once overly abundant and seen as commonplace until hunting or deforestation drove them into near extinction. Our photographs take on a similar dynamic when a photo of a friend or family member suddenly becomes much more valuable after their death. Now, the photograph is all we have left to remember their image. 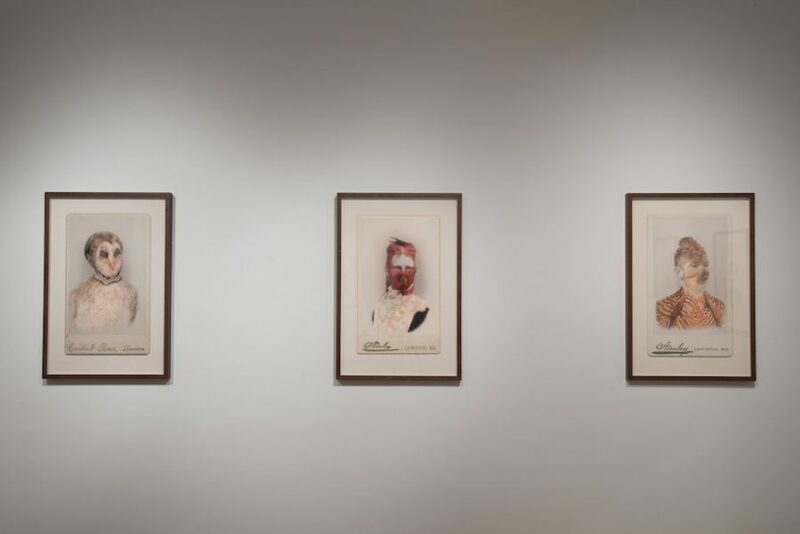 During her lecture at the Halsey Institute on October 27, Angelucci briefly referenced an idea from artist Christian Boltanski that we actually die twice: once when we actually die, and again when our image has been completely forgotten by the living. When the passenger pigeons and heath hens went extinct, their photographs were all we had left to document and remember their existence. Photography then has the substantial ability to preserve and has perhaps become undervalued by our society of handheld devices. We forget how extraordinary it is that we can permanently capture a single moment in time to keep for ourselves or share with the world. Aviary not only explores the history and functionality of the discipline of photography, but also challenges viewers to reassess their own perspective of daily life. How do we preserve special moments or loved ones? How much of our day-to-day goes unnoticed or overlooked? In the future, what will we regret not taking photographs of?